The Dar Dynamo retro industrial style, antique chrome 3 light bar pendant is great for use over a country kitchen table, breakfast bar or island. 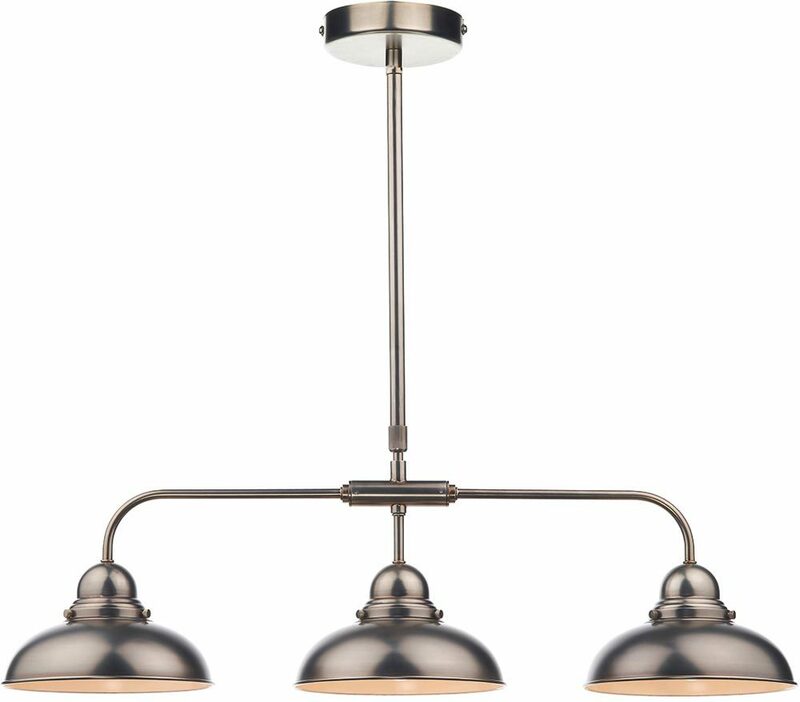 An industrial style 3 light bar pendant with antique chrome shades, circular chrome ceiling mount, adjustable height drop rod and an elegant curved light bar holding three downward facing domed metal shades. The shades are decorated with a metal band and thumb screws. Perfect for installing above a kitchen dining table or breakfast bar and height adjustable at the time of installation only by adjusting the thumb screw on the drop rod. Minimum height 60cm – maximum height 99cm. 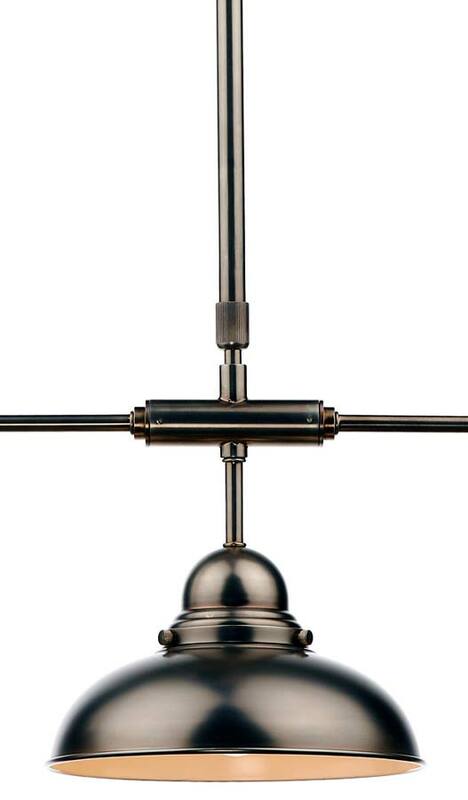 There are matching fittings in the antique chrome Dynamo range that can be viewed below and include two pendant lights, wall light, floor lamp and matching table light. Could you clarity what you mean by the minimum drop please? Is this from the top of the ceiling to the bottom of the light or is the length of the metal rod? Hello Angela, the minimum and maximum drops are measured from the ceiling to the bottom edge of the light fitting.